If you’re currently a renter, you may not understand the value of rental insurance (or even know that it exists). But having a Las Vegas Renters Insurance policy can be an invaluable way to protect yourself from certain hazards you might expect – and probably a few you didn’t. You’ve likely heard of homeowners insurance for those who own a home. Your landlord likely has an insurance policy that covers the structural elements of the home. However, that policy isn’t protecting what’s valuable to you – your personal property. In the event of theft, fire, natural disaster, flood and other covered events, your Las Vegas rental insurance policy will help financially compensate you for lost or destroyed property. This could include valuable items like your furniture, electronics, art, clothing and collectibles. 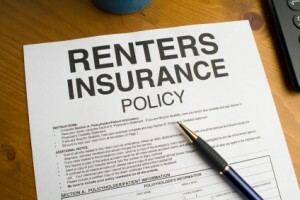 When you secure a Las Vegas renters insurance policy, you’ll need to determine the replacement value of your property. This is the amount of coverage allowed by your policy. However, you may also opt for personal liability coverage as part of your rental insurance policy. This protects you in the event you are sued because of an injury incurred at your residence. Generally this will cover related damages as well as related legal costs. If you have specific items of exceptionally high value, like jewelry or fine art, you may want to consider adding a rider to your rental insurance policy. A rider is essentially a smaller policy that covers a specific item or item. This can be packaged with your rental insurance policy. If you’re a renter and are considering Las Vegas renters insurance, give us a call today. We can customize your coverage to fit your specific needs and even bundle them with other policies (like your auto insurance policy) for a greater savings discount. When it comes to your place of residence, it’s important to be prepared – so Contact AMS Insurance today and get some peace of mind.